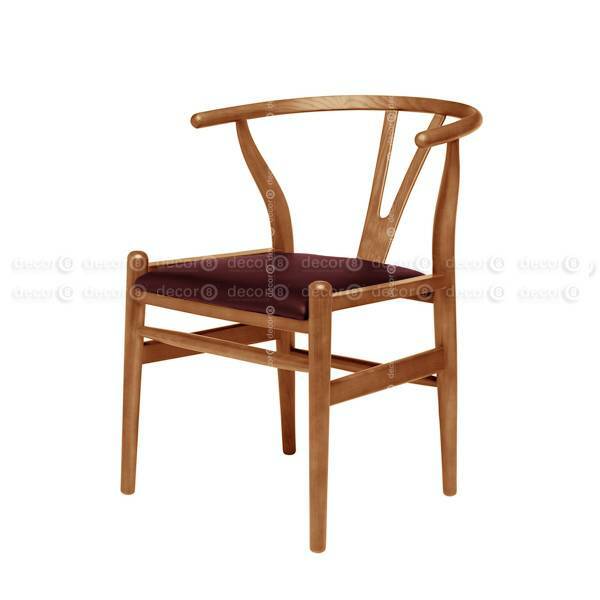 The Wishbone Style Leather Dining Chair in Light Walnut with synthetic leather or genuine leather seat, is a mid century modern style dining chair. It goes exceptionally well with all interiors. The Wishbone Style Chair is originally inspired by Danish Merchants sitting on Chinese Ming Chairs and is most popular in living rooms and dining rooms.